Hiring an attorney is not something most people do every day, so being a little bit unsure of how things are going to go is perfectly normal. To help ease some of the stress and make the process go more smoothly, take time to compile and bring the following list of items with you to your first meeting. A list of all your contact information. Your lawyer is going to need to know your full legal name and any other names you go by, your address, phone number(s), and email address. The names and contact information of other people that might get involved with the case - people on the other side, people on your side, witnesses, doctors, police, insurance agents, etc. If a case has already been filed against you, the name(s) and contact information of the lawyer(s) representing the other side will also be needed. A typed up or written down account of the circumstances surrounding the situation that is causing you to seek legal help. Try to make your summary of events as detailed as possible. If writing or typing isn’t one of your strengths, try creating an audio recording. A timeline of events. The best way to do this is to buy a calendar, write all the important events on it, and bring it to the meeting with you. Any materials (including documents, digital files and photos) you have that relate to your legal matter. If possible, put the documents in an order that makes sense when paired with the summary of events and timeline you put together above. 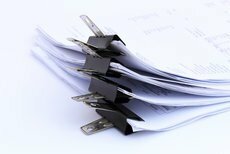 A list of information (particularly documents) you wish you had or thought you had but can’t seem to find now. The truth. You don’t have to swear to tell the truth, the whole truth, and nothing but the truth unless you are taking the witness stand in the courtroom, but lying to your attorney will not help your case. Bring a good idea of what you hope to get out of the case. Think about what winning looks like to you. It is difficult for your attorney to figure out how best to help you if they don’t know what you want. An open mind paired with a good sense of what your gut is telling you. Your lawyer may suggest a solution that you would never have imagined, or let you know that you don’t have a case. Listen to what they tell you, but don’t be afraid to share your thoughts on their suggestions. A list of any questions you have. The meeting will be far more productive if you leave without nagging questions or lingering doubts.